Like a ship nestled between pine trees and ocean, the 3 star hotel Les Jardins de l’Atlantique enjoys an ideal setting: facing the marina of Bourgenay and 12 km from Les Sables d’Olonne, this horseshoe shaped hotel fits perfectly into its natural environment, its decoration recalling its marine soul. Enjoy your stay in Vendée to offer you moments of relaxation in a calm and soothing environment. 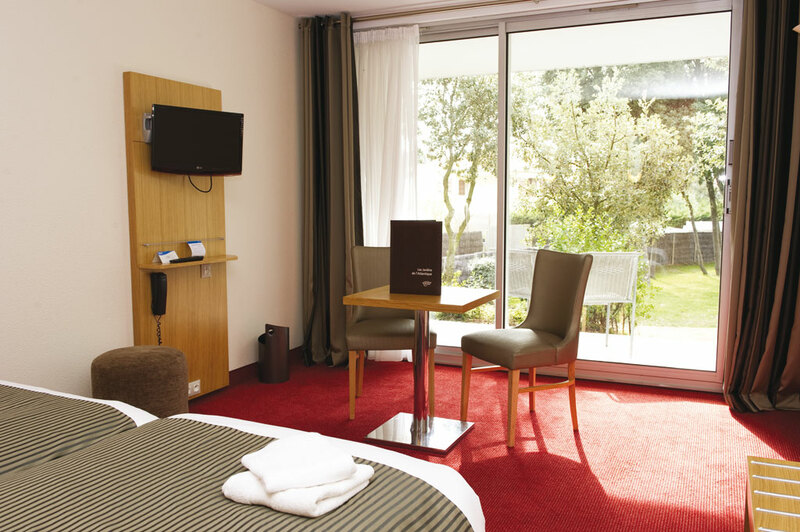 Our hotel in Vendée is the ideal place to recharge your batteries and take care of you, away from any hustle and bustle. It has comfortable double rooms over 3 floors served by a lift. They all have a balcony, mostly ocean view. Rooms for people with physical disability are also available. The double rooms of the hotel offer all the comfort you need to live a successful holiday thanks to their surface area of 25m². 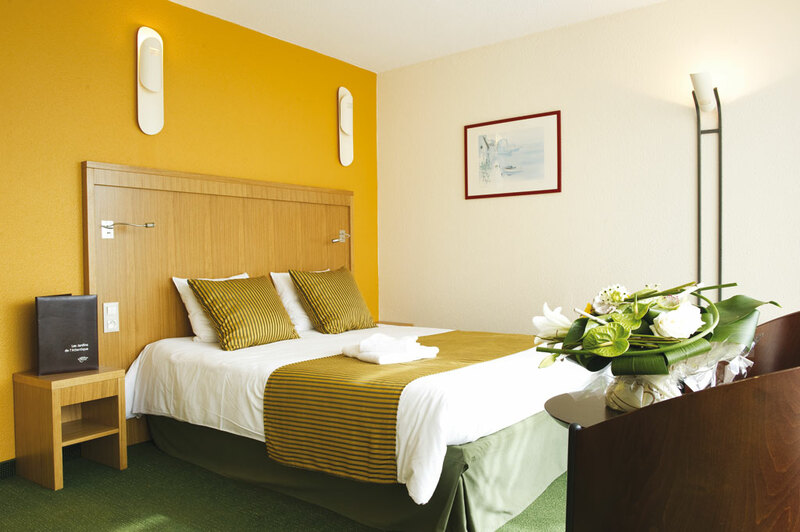 Equipped with a double bed or twin beds, they can accommodate from 1 to 2 people. On request, the hotel staff will provide a baby crib for children under 3 years old. 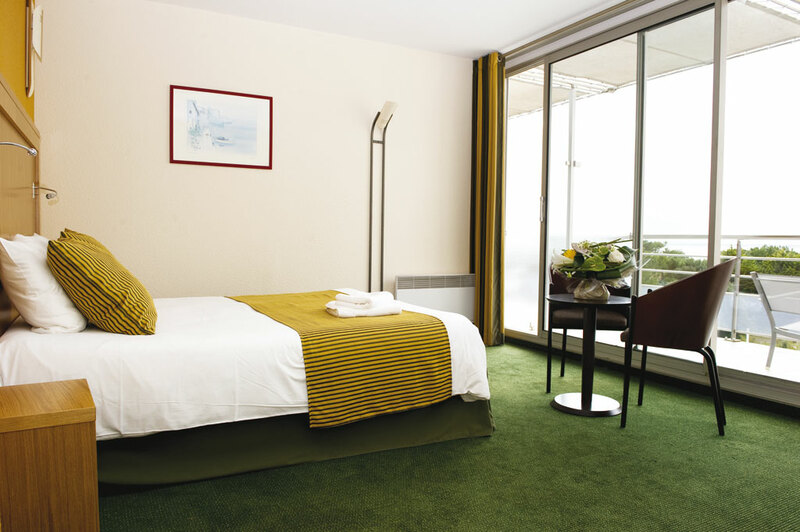 If you are traveling with family or friends, our spa hotel in Vendée also offers triple rooms, quadruple rooms and apartments for up to 6 people.